Pastor Henry T. Beach II a.k.a. Da` Gatherer was born in Forrest City, Arkansas. He now lives in DeFuniak Springs, Florida with his wife, Cynthia, and children. He is an artist on PBX Music Group Inc., an independent label that he and his son, P. Beach a.k.a. P-B-K, share together. He has two albums out now (I-O-U & God\'s Groove Zone). \"God\'s Groove Zone\" had a song that he wrote was on billboard, which was song by the twin group, Vision Of Harmony. The song \"I\'m Blessed\" was written by Henry T. Beach from the billboard \"TOP GOSPEL ALBUM\" charting CD for the label, OPHIR ENTERTAINMENT. \"A Taste Of OPHIR\" Varios Artist Vol. 1, debuting at #16,17,& 14, in the Dec.6, 2003; Jan.10, 2004; Jan.17, 2004; and Jan.31, 2004; issue of BILLBOARD MAGAZINE. \"GIVE ALL GLORY TO GOD\". Pastor Henry T. Beach II a.k.a. 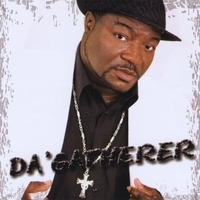 (Da` Gatherer) was the \"GOSPEL FEST 2000\" 2nd place winner, an event that was in Birmingham, Alabama. He is a singer, songwriter, and a recording artist with a variety music skills. He has opened for many gospel artists like The Jackson Southernaires, John P. Kee, The Williams Brothers, Florida Mass Choir, Dallas-Fort Worth Mass Choir, Luther Barnes, Dixie Hummingbirds, Rev. James Moore, Dr. Leonard Scott, Henry Porter, The Bolton Brothers, etc. Henry has expanded his musical talents outside the recording studio which include theatrical plays and weddings. He has been featured in plays like, \"Ain\'t Misbehavin,\" and \"No Storms Last Forever\". Henry T. Beach II, Pastor, husband, father, songwriter, composer,--Man of God. Henry Beach is the pastor of New Birth Fellowship Church in Northwest Florida. Being a pastor is my calling, being a singer is my gift. Why the name Gatherer? God called me to gather people together and witness of his goodness through ministry and song. Guided by Isaiah 61:1-3 he declares, \"The Spirit of the Lord GOD is upon Me, Because the LORD has anointed Me To preach good tidings to the poor; He has sent Me to heal the brokenhearted, To proclaim liberty to the captives, And the opening of the prison to those who are bound; To proclaim the acceptable year of the LORD, And the day of vengeance of our God; To comfort all who mourn, To console those who mourn in Zion, To give them beauty for ashes, The oil of joy for mourning, The garment of praise for the spirit of heaviness; That they may be called trees of righteousness. This album (DA' GATHERER) is featuring: MCB, PBK, DJ-X, Seven, and Bryana. All songs from this album is produced by my son, This is your boy, producer P. Beach a.k.a. PBK, PBX, P-bo', etc. The ceo of PBX Music Group,(My Independent Label), along with my father, Henry T. Beach II (Da` Gatherer). P. Beach is also a producer, songwriter, singer, rapper, pianist or keyboardist, programmer, etc. If you're lookin' for killer beats (PBX Beats), Contact me at E-mail: pbxboy2k4@yahoo.com or call:850-491-3336 and for booking: call (850) 766-8067. Pastor this was a great calaboration you and your son did a vantastic job on these cut. The styles will be great for out reach to young people. Keep Fight the GOOD FIGHT OF FAITH!!! Much betta\'. This is comin\' from your son, \"P\". What\'s da deal? Congratulations. This album is DA\' BEST. Congratulations.